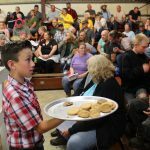 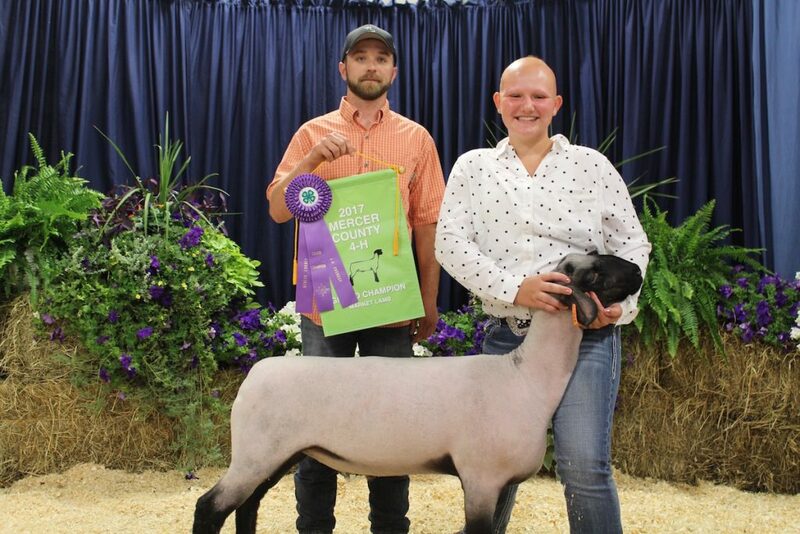 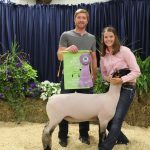 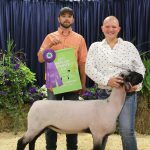 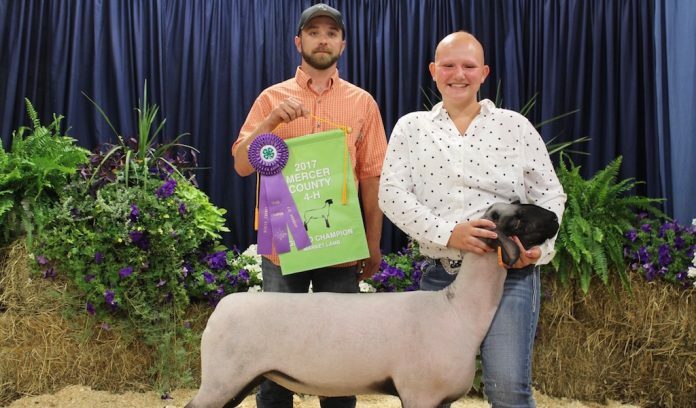 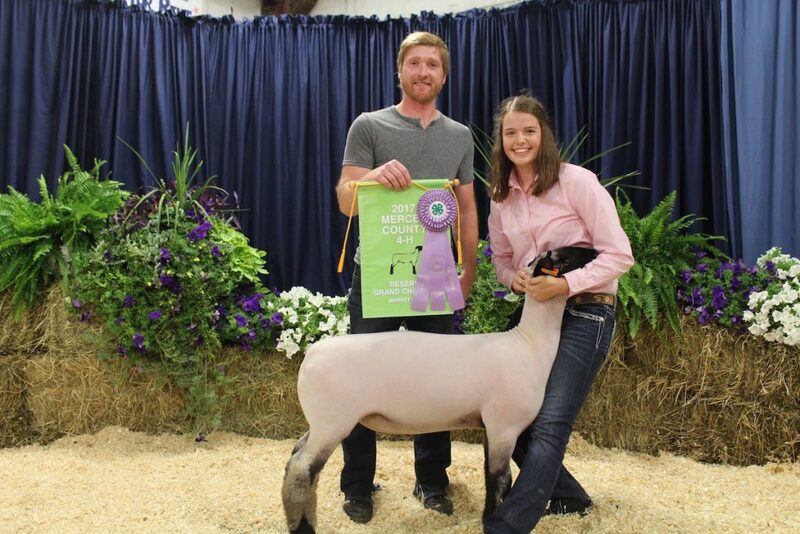 Shelby Rader sold her 147-pound champion market lamb for $9.50 a pound to Matt Miller of The Area Shopper and Miller’s Auction Service. 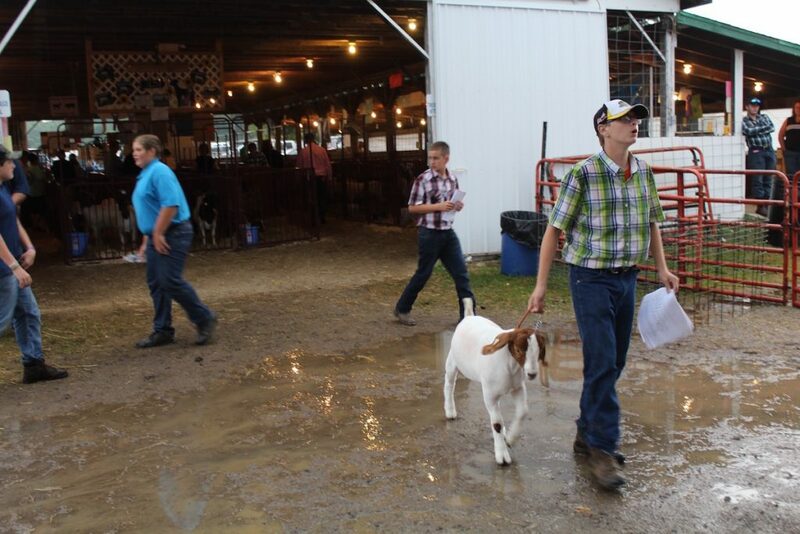 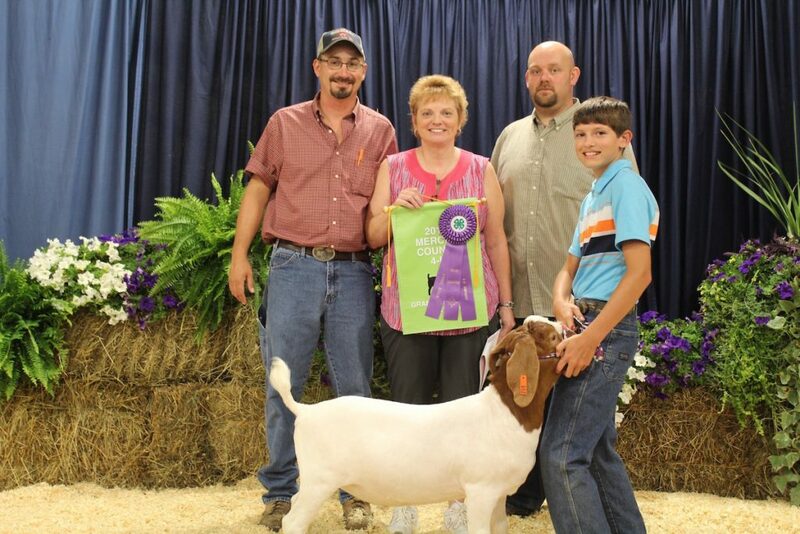 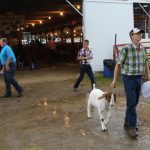 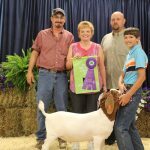 Woodrow Nickel sold his 91-pound grand champion market goat for $10 a pound to Eric Watson (left), of Watson’s Inc., Beth Hillmar, of New Wilmington Sales Co., and Mike Uber, for New Wilmington Veterinary Service. 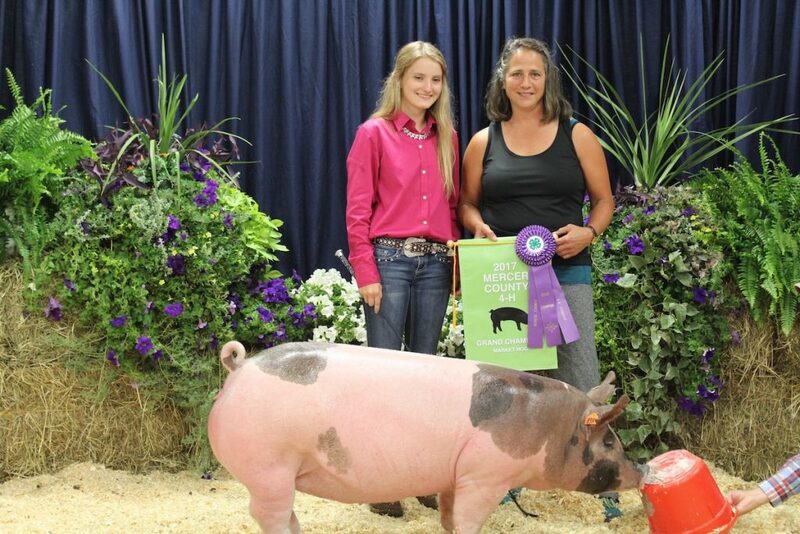 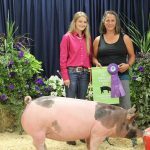 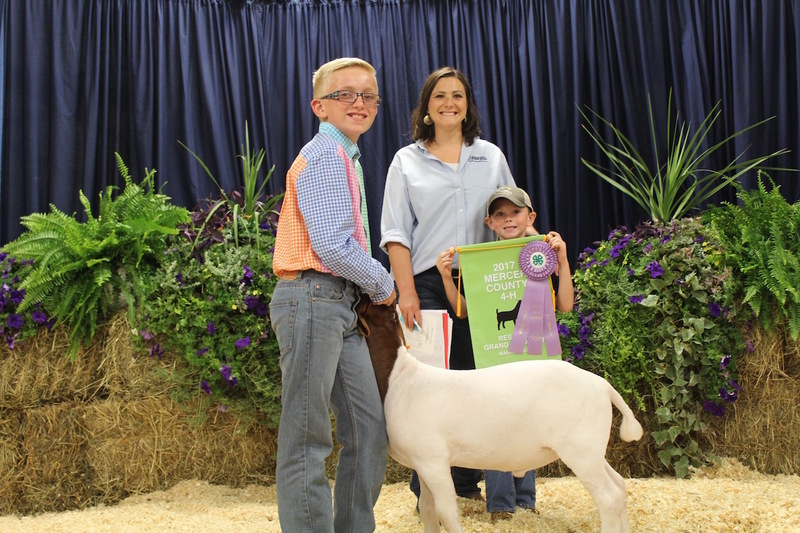 Bailey Kasbee sold her grand champion market hog for $8.25 a pound to TimberCreek Restaurant, represented by Julie Kelly. 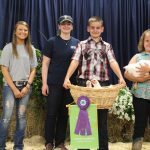 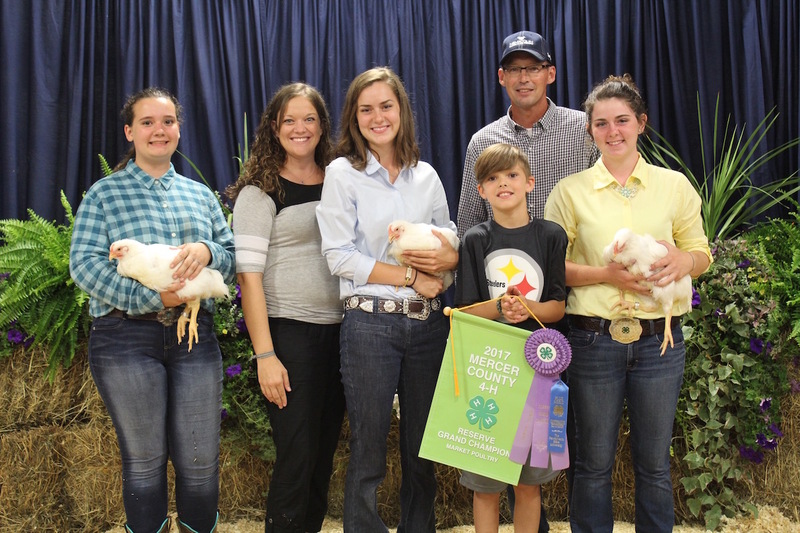 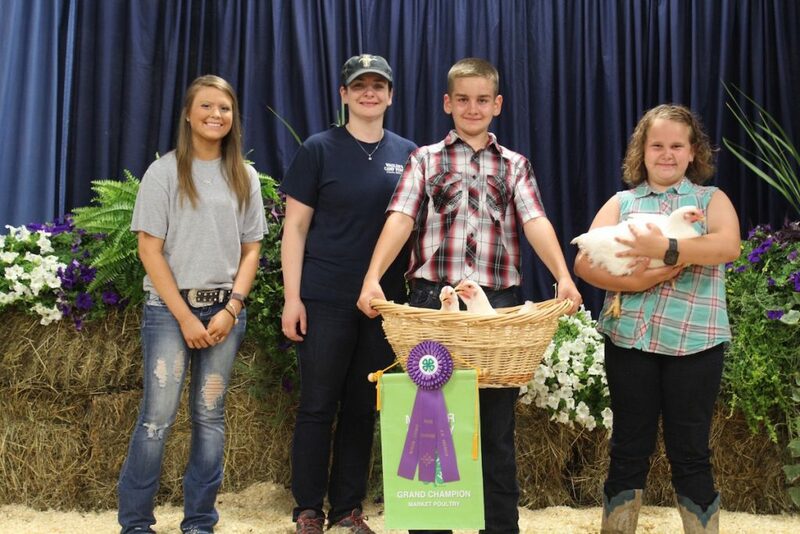 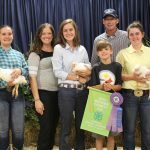 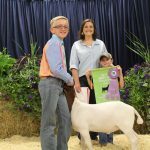 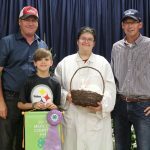 Addison Olson (right) sold her 23-pound grand champion market poultry for $30 a pound to Brina Wagler of Wagler’s Camp Perry, with Alexis Riley (left) and Deven Olson holding the basket. 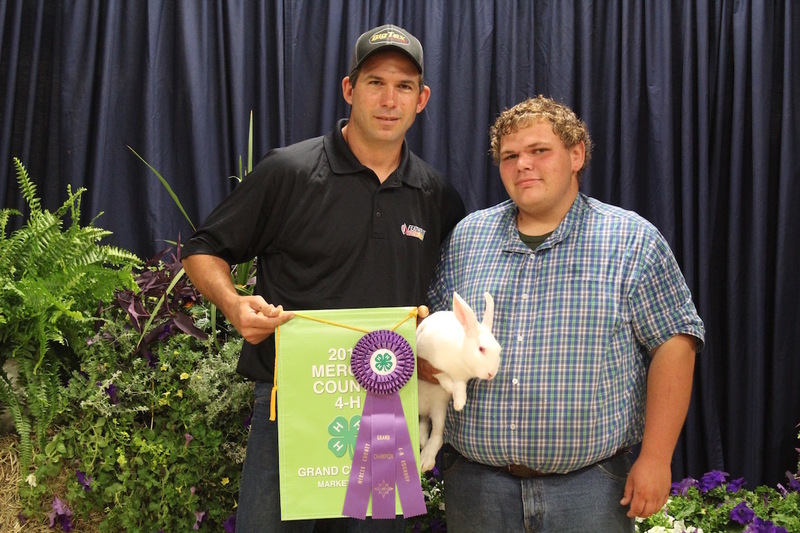 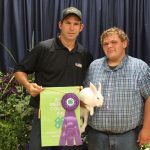 Andrew Edney sold his 7-pound champion market rabbit project for $70 a pound to Matt Tomeo, of Tomeo Farms trailer and Husqvarna supply. 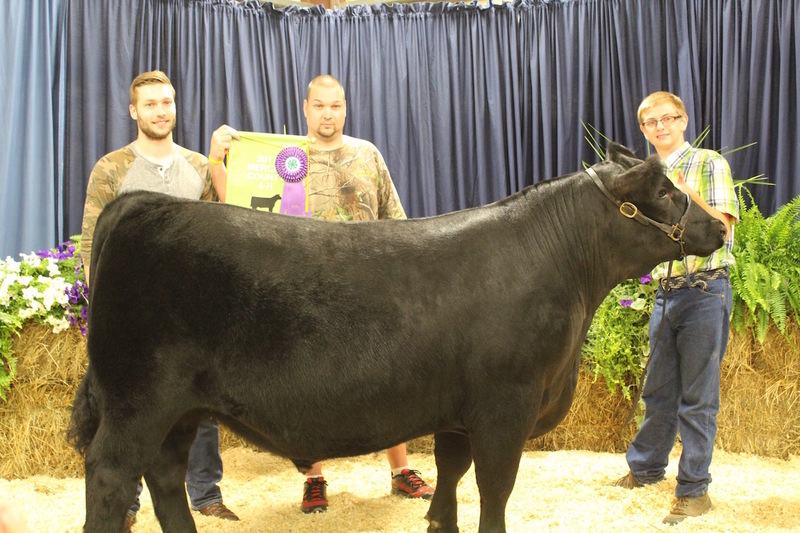 Chance Rains sold his 1,376-pound champion market steer for $4.10 a pound to Michael (left) and Hans Koller, for Fairview Swiss Cheese. 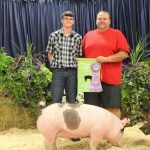 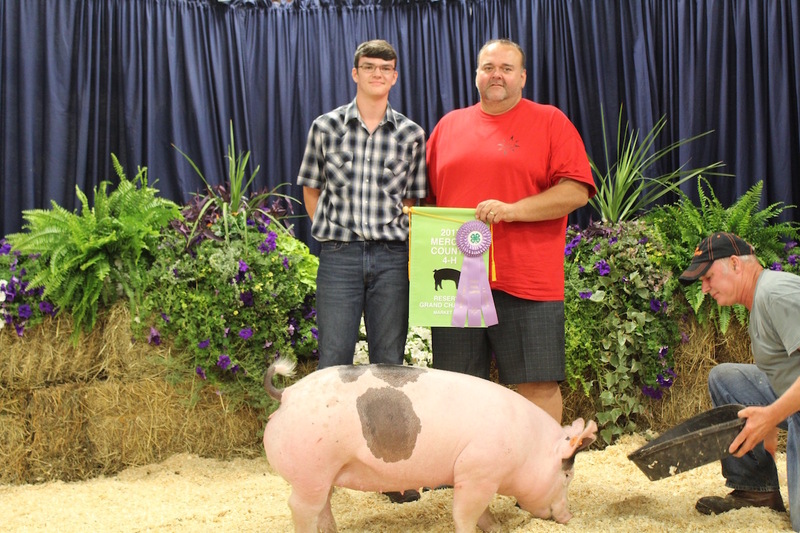 Kenneth Yarnell sold his 240-pound reserve champion market hog for $6 a pound to Chris Clark of SJA Pitch & Putt. 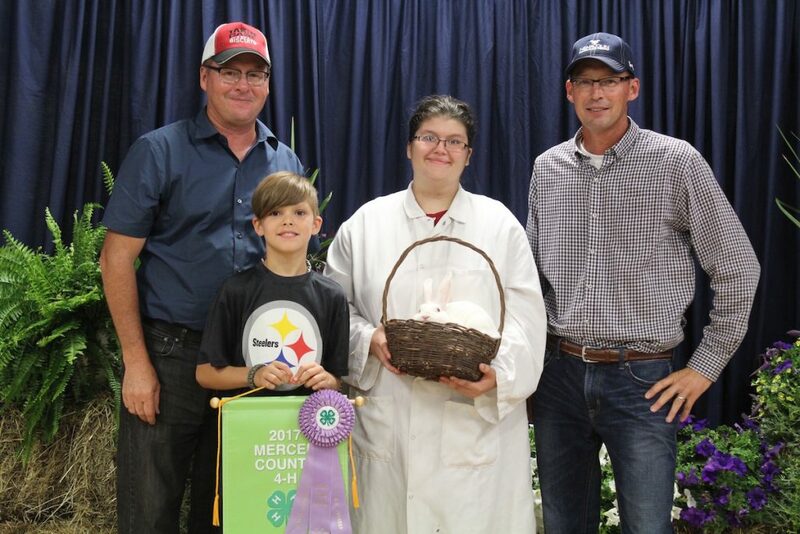 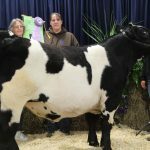 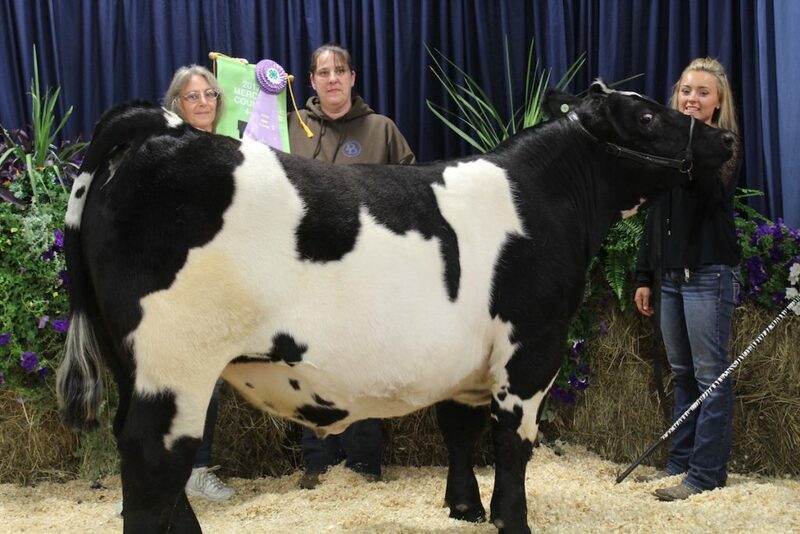 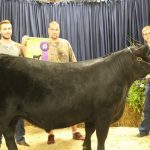 Lauren Steele sold her 16.8-pound reserve champion market poultry for $35 a pound to Newton Financial Services of Mercer, Pa.
Courtnie Roberts sold her 1,430-pound reserve champion market steer for $3 a pound to Kelley McGowan and Missy Whetzel, for Hoss’s Steak & Sea House. 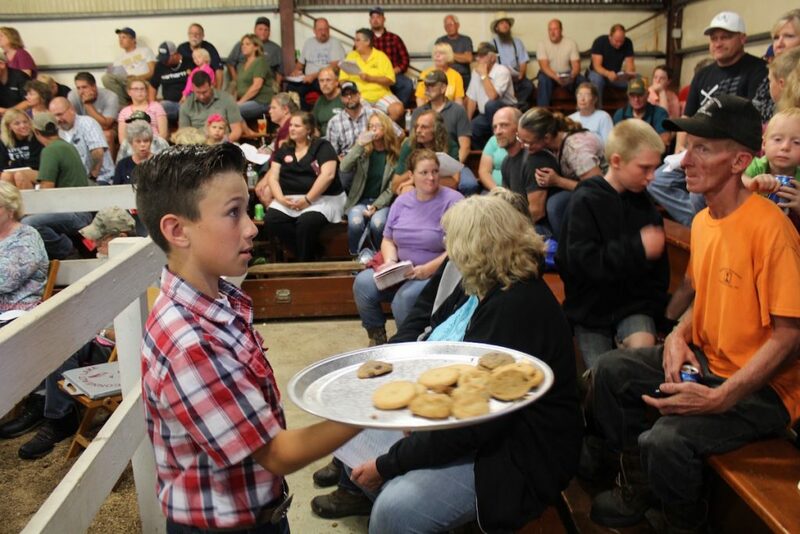 Buyer: Howard and Son Meat Packing, and D.J.’s Smokehouse.